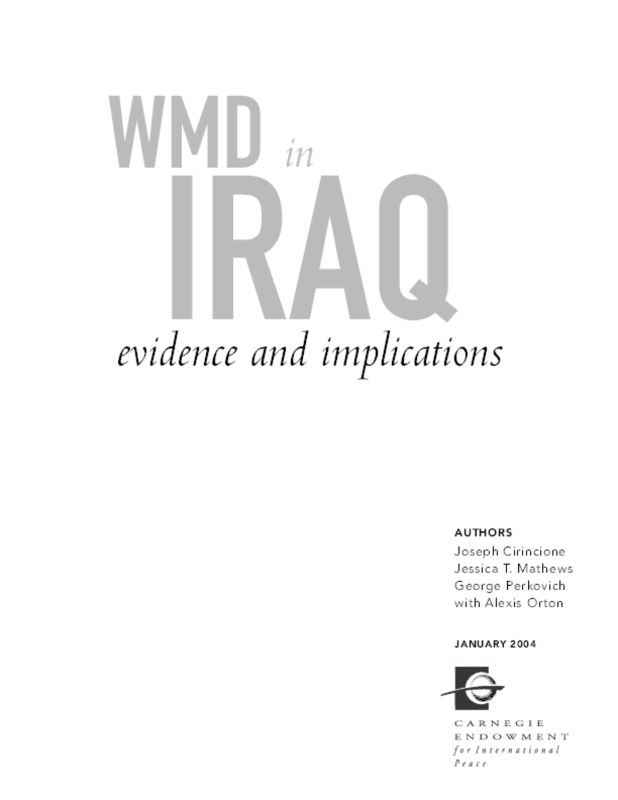 Examines what the intelligence community understood about Iraq's WMD programs before the 2003 war in Iraq. Outlines policy reforms designed to improve assessments, deter transfer of WMD to terrorists, and avoid politicization of the intelligence process. Copyright 2004 Carnegie Endowment for International Peace.